● Ready-to-eat cereal or oatmeal; banana; skim milk; orange juice. 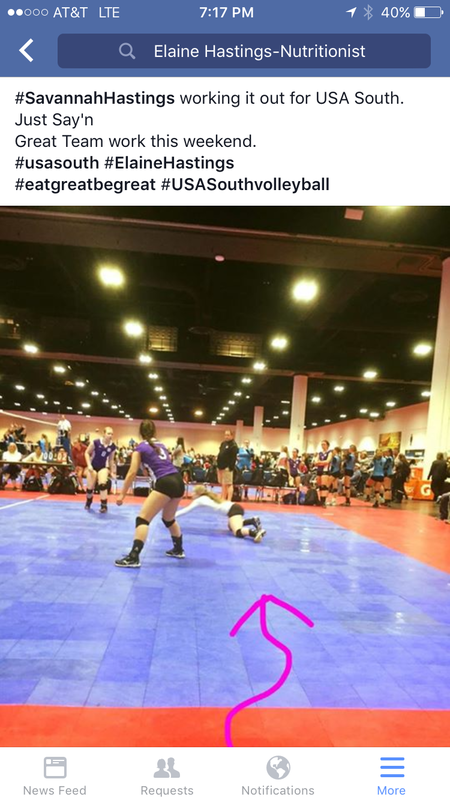 Check back for more volleyball nutrition tips… including dinner and tournament days / weekends! 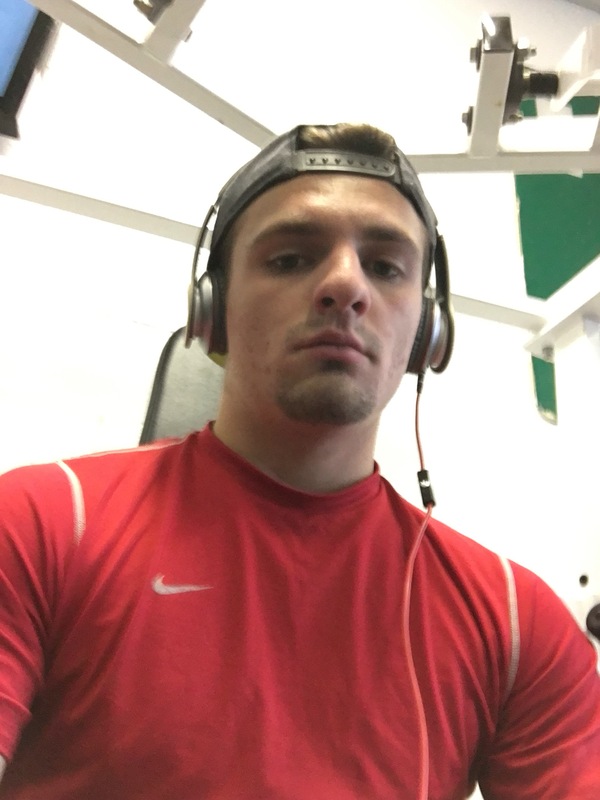 What’s the most crucial meal for ANY ATHLETE? According to a 2009 study, the average person gains 1.7 pounds between Thanksgiving and New Year’s. The season is often times challenging to navigate— dinner parties, sweets baskets, leftovers and unwanted pounds. But staying on track doesn’t mean you have to go into hibernation. The holiday season is often times challenging to navigate— dinner parties, holiday sweets baskets, leftovers and unwanted pounds. But staying on track doesn’t mean you have to go into hibernation. According to a 2009 study, the average person gains 1.7 pounds between Thanksgiving and New Year’s. Considering the average adult adds on 2.2 pounds annually, that means more than 75 percent of people’s yearly weight gain occurs during the holidays. What’s more, other research shows the extra weight put on is most likely not lost during the following year. To enjoy the holidays and help prevent a season-long binge, don’t throw away healthy habits and make sure to plan ahead. First and foremost, be realistic— everything gets more hectic during the holiday season. Therefore, practice clean eating during the week and slightly lighten up on your rules during the weekend. Begin by editing your choices. Make the most of your leftover ham, turkey and trimmings by creating nutritious meals and snacks that will keep them from weighing you down. 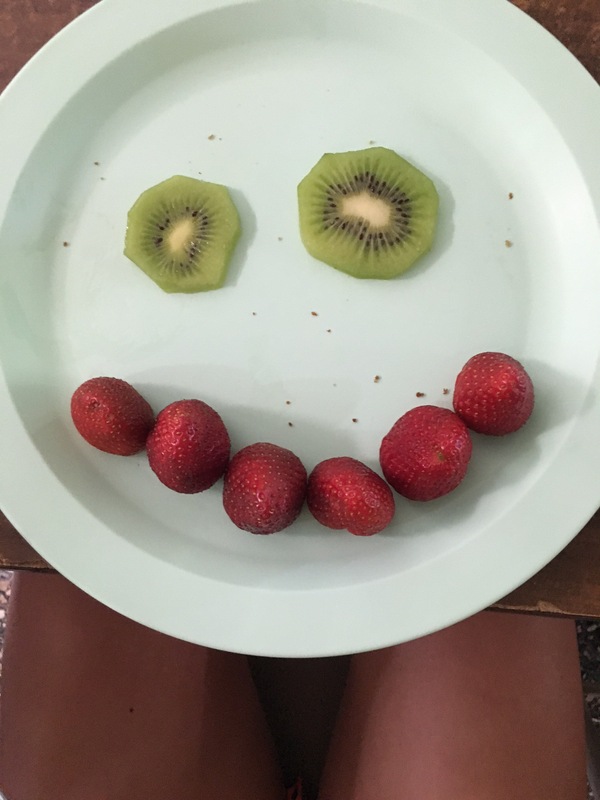 Be creative and seek out healthy, low-carbohydrate and low-fat recipes. For example, use low-or fat-free tortillas to wrap up turkey and vegetables for a healthy lunch. Add a small amount of cranberry sauce to give your turkey wrap a more festive flavor. Another idea is to use turkey, ham or other meat on top of greens and vegetables to create a healthy salad. Add some fruit, low-or fat-free cheese and a few nuts and viola— a scrumptious mix. Planning healthy choices will keep you from being tempted to break for high calorie treats. 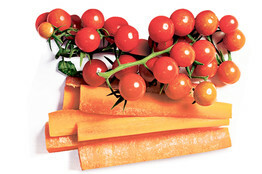 Sometimes its even as easy as deciding what to eat less of, more of or what to cut out so that things are more manageable. One more way to prevent overeating during the holidays is to never go to a party hungry. Weight gain is based on calories in and out. Going to a party hungry will cloud your judgment and have you running for the not-so-healthy choices on the table. Be proactive and snack on dried fruits, nuts, high protein choice before arriving. Then, while at the celebration, practice portion control and dish out a serving size that equals approximately 200 calories or less. By doing this, you can curb the temptation of overindulging. Make sure to limit your alcohol intake, as well. Calories from alcohol add up quickly. A 12-ounce beer has 140 calories, a 5-ounce glass of wine has 120 calories and a cup of eggnog without the rum is 220 calories. So, decide how many drinks you will have beforehand and stick to your decision. Remember to hydrate. Drinking water not only makes you feel full, it facilitates weight loss and expulses excess salts you might be retaining from the holiday food. Finally, understand that exercise is just as important as diet. Follow the rule to never miss more than two days in a row of working out. Not only will this limit the pounds you could put on, it will decrease stress, increase your energy and help keep your waistline trim. – Elaine Sirt-Hastings, RD, is a nutrition, energy, supplement and sports performance expert trusted by top athletes. 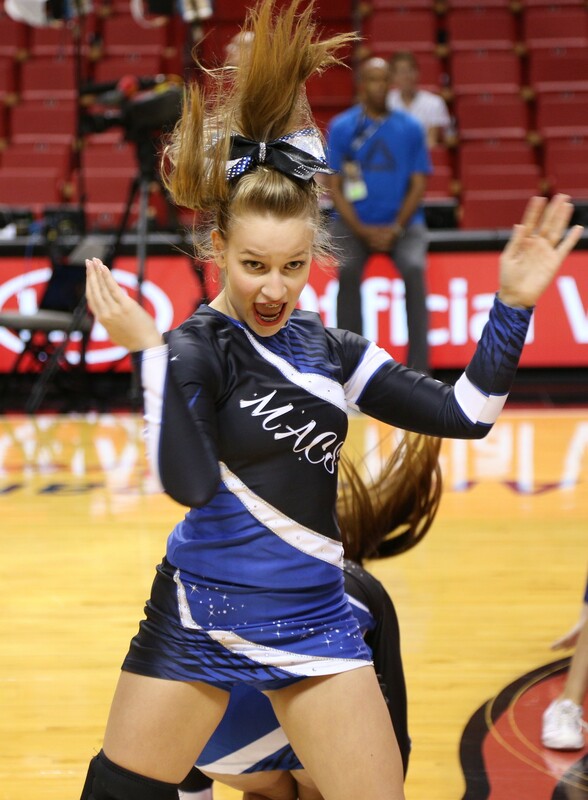 She is a partner with pro-athletes including Olympic gold medalists and NFL, NBA, NLB, NHL, LPGA and NCAA athletes. Elaine has been practicing for 20 years and works contractually as a writer, spokesperson, product development, media resource and advocate for eating disorder and steroid awareness. For more information or to contact Sirt-Hastings, visit www.elainehastings.com! Do you juice? We’re not talking here about that kind of juice — steroids that boost athletic performance. America is finally eating its vegetables — from a bottle. How fresh juice is becoming big business for Starbucks and your local juice bar. We’re not talking here about that kind of juice — steroids that boost athletic performance. We’re speaking of spinach slurpies, kale cocktails, super-fruit smoothies, and all sorts of other nutrient-packed libations that have become not just drinks but an impassioned cause among a growing cadre of health-, diet-, and nutrition-obsessed consumers. Whether bought off the shelf or custom-blended in hipness-drenched juice bars, super-premium vegetable juices, in particular, are taking America’s trend-setting cities and well-heeled suburbs by storm, lending new meaning to the age-old concept of a liquid lunch. In certain precincts of Manhattan and Los Angeles, almost everyone, it seems, is clutching a bottle of the brackish-looking stuff. Juicing, as a meal replacement or mere refreshment, has become a $5 billion business, and is projected to grow by 4% to 8% a year. While juice fasts, or cleanses, have long been used to shed unwanted pounds, the latest craze is best viewed as part of a national move, especially among people in their 20s and 30s, toward healthier eating and greater consumption of raw and organic produce — in this case, conveniently packaged and easily quaffed on the run. The habit doesn’t come cheap: A 17-ounce bottle of cucumber, celery, parsley, kale, dandelion, Swiss chard, lemon, and ginger juice will set you back $13.07 at Juice Press, a raw-juice bar with four outposts in New York and a busy mail-order business. Then again, Americans spent $22 billion last year on bottles of water — the world’s most plentiful liquid, and readily available free. THE U.S. MARKET FOR FANCY JUICES is highly fragmented, encompassing both super-premium chilled products sold at retail outlets and fresh-pressed and blended concoctions available at more than 6,200 juice bars and smoothie shops nationwide. To be sure, the business in all forms is but a sliver of the total $258 billion U.S. market for nonalcoholic beverages. But it’s an exciting sliver that has beverage and packaged-foods giants, food-service companies, venture capitalists, and entrepreneurs seeing green. Two weeks ago, for example, Campbell Soup (ticker: CPB) announced it will buy Bolthouse Farms, a seller of produce and premium juices, from the private-equity firm Madison Dearborn, for $1.55 billion, in a bid to boost its presence in higher-margin refrigerated foods. Sales of Campbell’s traditional, shelf-stable V8 vegetable juice have stagnated in recent years, although the company has generated growth by extending the V8 brand to jazzier fruit and vegetable beverages. In most chilled-juice aisles, Bolthouse Farms shares shelf space with Coca-Cola‘s (KO) Odwalla brand of super-premium juices, and PepsiCo‘s (PEP) Naked juices. Coke, in the vanguard of most beverage trends, snapped up Odwalla in 2001 for $181 million, while Pepsi dived into the market in 2006, buying Naked Juice for an estimated $450 million from North Castle Partners, another private-equity firm. Irma Shrivastava, vice president, marketing, for Odwalla says the company is introducing a new line of organic veggie and fruit juices this week, available first atWhole Foods Market (WFM). She says the category is growing even faster in traditional grocery channels than in the market overall. Pepsi executives declined to comment. Sales of bottled super-premium fruit and veggie juices totaled $2.25 billion last year, and are up 58% since 2004, according to Beverage Marketing, a research and consulting firm. Sales of more traditional juice products such as orange and apple juice have been flat or lower in recent years, while annual sales of carbonated soft drinks plateaued at around $71 billion in 2007, and haven’t moved much since. 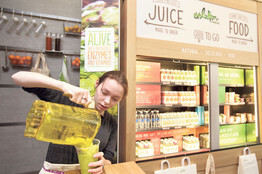 The focal point of the 1,100-square-foot store is an 11-foot-high “juice wall,” with electronic art and spigots that dispense nine juice mixtures, including single-vegetable beverages, blends such as Field of Greens, and handcrafted, fruit-based smoothies. Friday, Starbucks opened its first Evolution Fresh store in downtown Seattle, and said it plans more in Seattle and San Francisco this fall. And some tone it is: Starbucks now operates more than 17,000 coffee stores in 55 countries. The company hasn’t disclosed how many Evolution Fresh stores it envisions, although Schultz has mentioned “a national footprint of stores.” He also plans to distribute Evolution Fresh products nationally in Starbucks stores, and capture a bigger piece of the ready-to-drink business in grocery and mass-merchandise outlets. “We are making a full court press nationally in building the brand,” he told analysts. Matthew DiFrisco, a restaurant analyst at Lazard Capital Markets, thinks the opportunity for Evolution Fresh could be somewhere between 500 and 1,000 stores nationally. Starbucks, which trades for $51.96, is on the firm’s “fresh money” list, and the analyst has a price target of $69. He sees the Evolution Fresh brand as an opportunity to expand Starbucks’ higher-margin consumer packaged goods and food-service business, whose sales could reach $1.3 billion in the current fiscal year, nearly double the level of four years ago. STARBUCKS ISN’T THE ONLY JUICE COMPANY with grand ambitions. The Yankees’ Teixeira was so impressed by the refreshments at Juice Press that he bought a piece of the business in February with Kenny Dichter, the founder of MarquisJets. Dichter, who sold his fractional-jet business to Berkshire Hathaway (BRKA) in 2010, says Juice Press’ stores are profitable, with annual sales approaching $10 million. He foresees a 15-store metropolitan-area chain within the next 12 months, stocked with grab-and-go products, and expects to be able to scale the business to 300 to 500 stores in North America, with an opportunity for annual sales of $500 million or more in seven to 10 years. Marcus Antebi, who founded the chain 2½ years ago, says he expects bottled green juice to become as ubiquitous someday as bottled water. Organic Avenue is another juicery on the move. Private-equity giant KKR has invested in the eight-store Manhattan chain, in partnership with Jonathan Grayer of Weld North. “There are plenty of wealthy suburbs where Organic Avenue can thrive,” says Grayer, the former head of the Kaplan education business owned by Washington Post. Grayer, who says he sometimes drinks juice as a meal substitute, thinks Organic Avenue can triple its store count in the next few years, pushing into other markets and even the packaged-beverage channel. “We are going to try to create a habitual user,” he says. 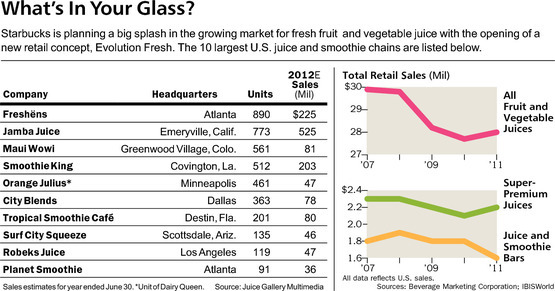 Sales at all U.S. juice bars and smoothie chains have nearly doubled since 2004, and totaled $2.04 billion in the year ended June 30, according to Juice Gallery Multimedia, an Alta Loma, Calif., consultant that tracks the food-service market. Juice Gallery’s Dan Titus, 58, was turned on to healthy juices when he developed cancer in his 20s, and credits the market’s recent growth largely to the entrance of fast-food operators such as McDonald’s (MCD) and Dunkin’ Brands(DNKN) into the fruit-smoothie business. Juice Gallery’s data don’t include restaurant chains with fewer than 25 stores, however, so it fails to capture sales at smaller but rapidly growing raw-juiceries such as Juice Press, Organic Avenue, and Earthbar, a Los Angeles-based chain that operates 10 bars, eight of them at Equinox health clubs. Juice Generation, another eight-store New York-based start-up, also has installed bars at Equinox gyms. JAMBA JUICE (JMBA) is the only publicly traded pure play in the juice-bar business, but there is nothing tasty about its shares’ performance. They peaked in 2006 at $12.25 and now change hands at $2.61, endowing the Emeryville, Calif.-based company with a meager market value of $181 million. Jamba is shifting its business model to 60% franchise-owned stores from 70% company-owned outlets in order to, yes, juice results. Scott Van Winkle, an analyst at Canaccord Genuity, notes Jamba’s company-owned same-store sales are expected to grow 4% to 6% this year. “You won’t find a food or beverage company that isn’t either doing something or thinking about doing something related to the health trend,” says the analyst, who rates Jamba Juice a Buy. Simmons says he drinks green vegetable juices “morning, noon and night,” and keeps the refrigerator in his Maybach fully stocked with his favorite verdant beverages. “Everybody around me is juicing,” he adds, noting he has been able to find raw juice bars well beyond New York and L.A., in cities such as Baltimore and Detroit. Fashion designer Norma Kamali is another fresh-juice devotee. She adopted a raw and juice-based diet two years ago, and has been selling fresh-pressed juice at the Wellness Cafe in her midtown Manhattan store since 2009. “Customers love the juice,” she says. “It slows down the aging process and boosts your immune system. FRESH VEGETABLE AND FRUIT JUICE might do all this and more — or not. The medical research is incomplete and inconclusive. Some health experts still question the role of nutrition in fighting diseases like cancer, and others worry about what’s missing when produce is pulverized and reduced to its liquid essence. Robert Post, deputy director of the Center for Nutrition Policy and Promotions at the U.S. Department of Agriculture, says “there is no compelling evidence” or settled science that juicing is healthier than simply eating raw fruits and vegetables. One concern about fresh-pressed juices, in particular, is that they aren’t pasteurized. This increases the potential for contamination by pathogens, which can cause illness. Although many smaller juice bars abide by strict sanitary guidelines and label refrigerated bottles with sell-by dates, not all outlets follow these procedures. Evolution Fresh uses high-pressure processing, a nonthermal pasteurizing process that can extend the shelf life of fresh-pressed fruit and vegetable juices to about 45 days from the typical two or three for unpasteurized products. The company claims the juice loses none of its taste or enzymes and micronutrients. Just how shocking is it? Barron’s ran an admittedly unscientific taste test last week, in which 17 staff members sampled an array of fresh vegetable juices, ranked them on taste and overall appeal, and supplied additional commentary about the experience. We initially had planned to do a three-day office juice cleanse, a liquid-diet regimen that supposedly goes down easier when the other folks at the water cooler are in on the plan. But common sense prevailed, given the unknown effects of solid-food deprivation on magazine production. Barron’s staffers sampled green-vegetable combinations from Jamba Juice, Juice Generation, Naked Juice, Organic Avenue, and the Juice Press. Not surprisingly, the sweeter smoothie products — Green Machine from Naked and Apple ‘n Greens from Jamba, which doesn’t have a pure vegetable potion — won hands down in the taste department. Of the three raw juices from local boutiques, our taste panel favored Doctor Green from the Juice Press — a mixture of pineapple, apple, lemon, ginger, and kale. One quaffer said the Green LOVE juice (the love stands for “live organic vegan experience”) from Organic Avenue had “an unapologetic vegetable taste,” but it wasn’t clear whether that was a compliment or a critique. Another said Green LOVE had a “refreshing, healthy taste without provoking the gag reflex” — high praise, indeed. 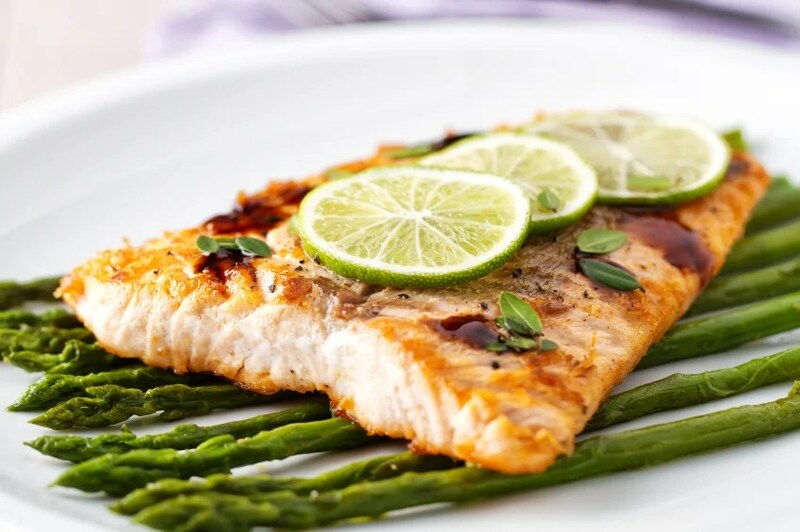 What luscious flavors in this dynamite combination of citrus, salmon, garlic, balsamic reduction, and more! A palate pleaser for Pritikin and nonPritikin guests alike! In a small bowl, combine citrus juices, garlic, thyme, pepper, and mustard. Coat salmon with Pritikin Fish Seasoning. In a large nonstick skillet over a hot flame on the stove, sear salmon on cut side until brown, about 2 minutes. Flip salmon, and pour citrus marinade over it. Immediately transfer salmon to oven, and bake for 8 to 10 minutes. While fish is baking, steam asparagus. (Place your asparagus spears in a steamer basket inserted into a pot that contains 1 to 2 inches of boiling water. Cover, and steam till spears are bright green, usually about 3 to 8 minutes). When fish is cooked, drizzle with balsamic reduction and Italian parsley. Serve immediately with steamed asparagus. * To make your own Pritikin Fish Seasoning, combine equal parts onion powder, garlic powder, dry dill weed, granulated lemon, and paprika. Or order our chefs’ Pritikin Fish Seasoning in the Pritikin Online Store. ** To make a balsamic reduction, pour regular balsamic vinegar into a small pot, bring to a boil, lower flame, and simmer till reduced by half.